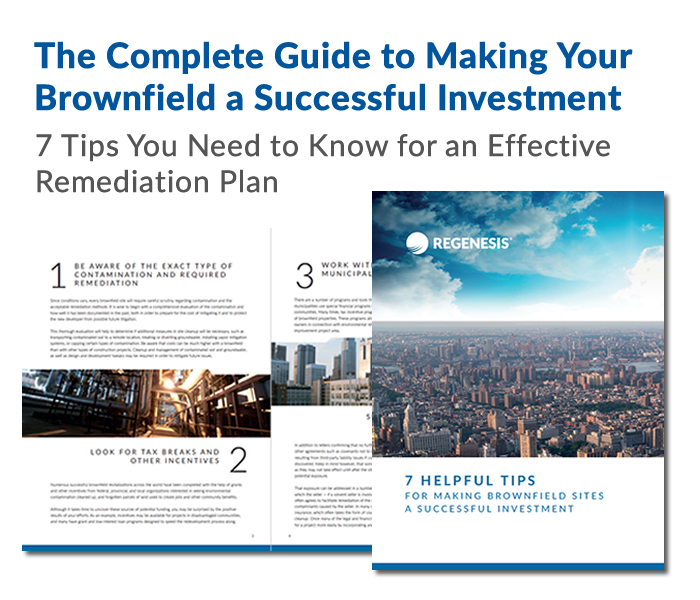 The complete guide to making your brownfield a successful investment. 7 tips you need to know for an effective remediation plan. Please fill out the form below to download the Brownfields eBook. Real estate developers and property owners everywhere are looking for ways to develop a significant number of brownfield sites as part of their long-term real estate strategy in residential, retail, and commercial property. In this eBook, REGENESIS offers some strategies to ensure your brownfield redevelopment efforts meet or exceed expectations.